LITTLE CURLZ COUTURE - Mom Made That! Need something with sparkle for your darling diva? Or maybe a little something fabulous to hold all of their hair bling? 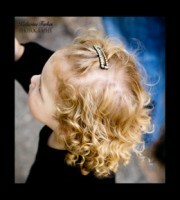 Little Curlz Couture has just what you need. 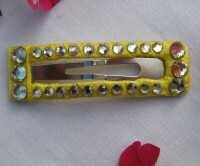 We specialize in handmade crystal adorned snap barrettes, custom hair bow holders and much, much more. A little something every fashionista will adore. Little Curlz Couture was born out of the desire to provide high-quality accessories and add a little “Pop” to every outfit. Founded by a mother of two little girls, with tiara taste and designer dreams, she started giving barrettes and bow holders as gifts and as more people asked for them Little Curlz Couture came to be in July of 2009. Our goal is to make sure you are always completely satisfied with your purchase. All items can be customized to suit your needs. Our crystal barrettes are perfect for dress or play. 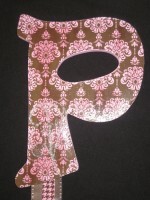 With our accessories your little one will always be Classy & Fabulous! SALE! 10% discount with code MMT10 in note to seller & I will refund after payment is made thru paypal.